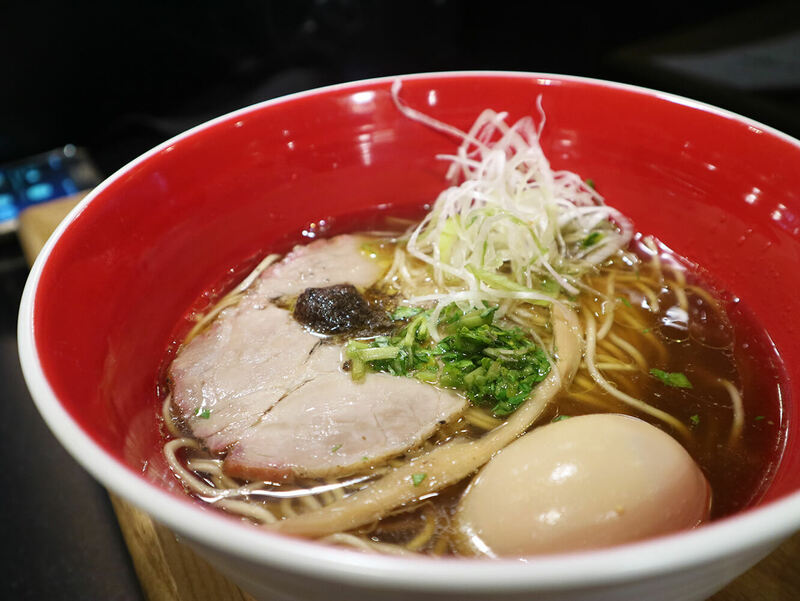 Tsuta Ramen BGC: Could it be the Best Ramen in Manila? For months now, a certain restaurant has been gracing my feed for its ‘unique’ Ramen: Tsuta Ramen BGC. So unique that hundreds were willing to line up (and even camped out overnight) for its opening day last December 16, 2017. Well who wouldn’t anyway? 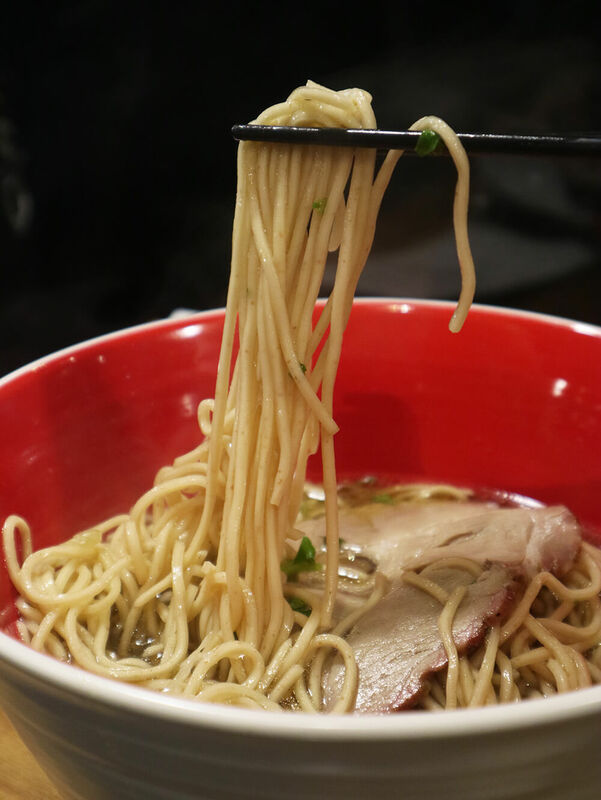 The first 10 diners get to score free ramen every week, for an entire year! While the next 20 gets 6 months free, next 20 for 3 months, and so on. And curious as I was, I thought asking my fellow foodies what exactly makes Tsuta Ramen BGC stand out. Two Things: First, it’s the first Michelin-starred Ramen from Tokyo. And second, each bowl is served with truffle oil in its broth, giving it a nice earthy flavor. And most recently, Master Chef Onishi Yuki has released another unique creation yet again: Sang La Tan Tan Soba. So is the place worth the hype? And could Tsuta Ramen BGC be the Best Ramen in Manila with it being Michelin-rated? Well, read on to find out. 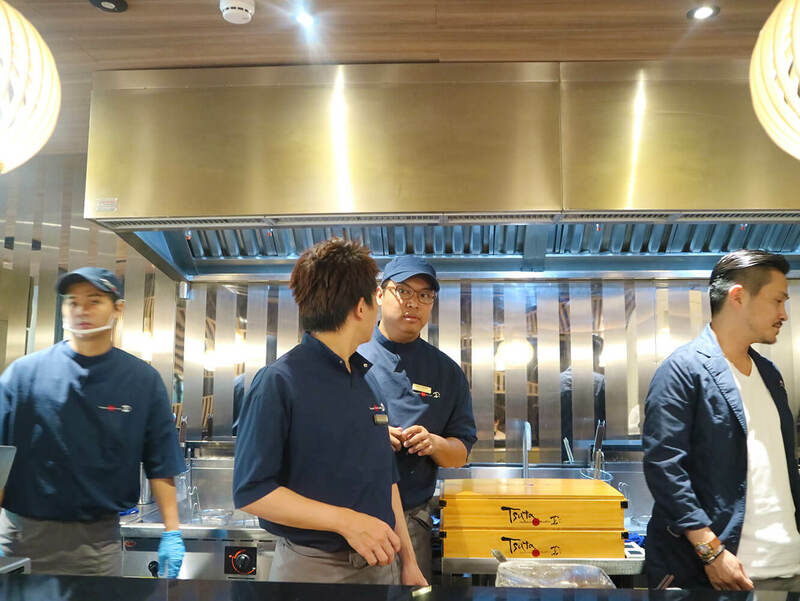 Located at the 2nd floor of the Al Fresco area of C3 Bonifacio High Street Central, Tsuta Ramen is a 40-seater ramen bar home to the creations of Master Chef Onishi Yuki and Eric Dee of FOODEE Global Concepts. We were lucky to have arrived early as we were able to score front row seats to where all the action is: Chef Yuki’s ramen bar and kitchen. How exciting! Looking around, the place had a nice cozy feel to it, perfect for casual get-togethers with family or friends over a bowl of hot ramen. Lights were a little dim inside but the black tiles of the ramen bar were perfect backdrops to accentuate those food shots. Now, some might argue Tsuta is already late in Manila’s Ramen game. True but let me tell you this. It’s never too late if the game is taken a notch higher with good quality ingredients. And the secret to Tsuta Ramen’s success? TRUFFLE OIL. 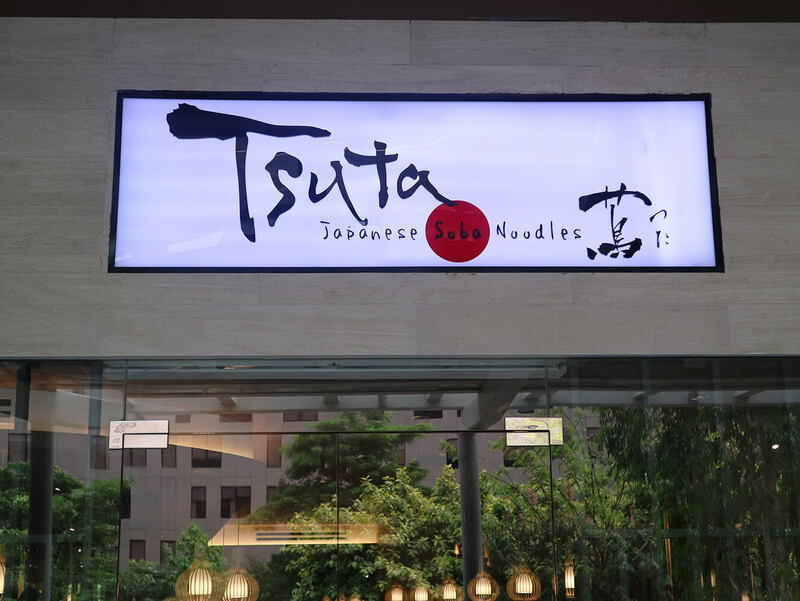 Currently, Tsuta Ramen has already spread its success with branches in Singapore, Hong Kong, Taiwan, and Japan. 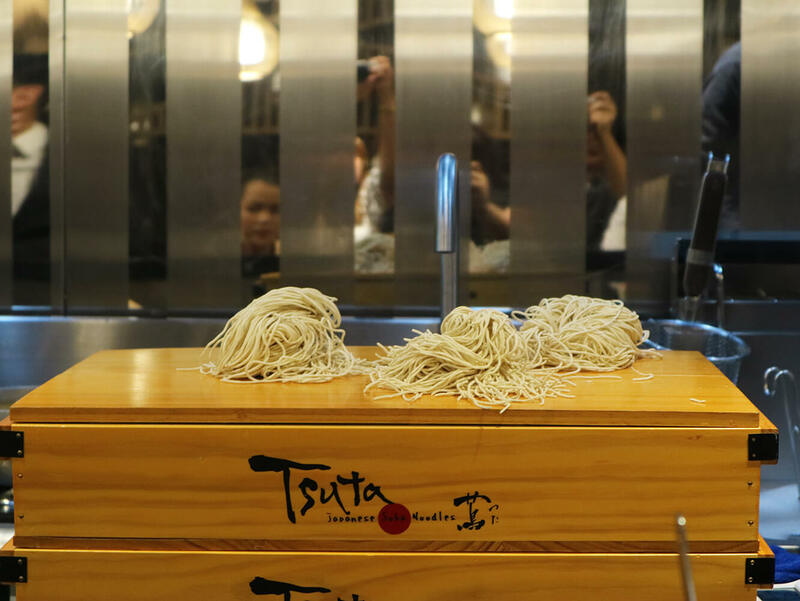 So what exactly goes into each bowl of Tsuta Ramen, aside from its secret truffle oil? Let’s start with the soup baseor its Dashi. In Tsuta’s case, Chef Yuki has curated a mother broth made of three stocks: Asari Clams, Japanese Fish Katakuchi, Mackarel, and Anchovy with Kelp and Bonito, and whole chickens. If that alone will not stir up your hungry palate, I don’t know what will. Second, the sauce or the Tare. Tsuta Ramen basically serves three classic Sobas according to your desired sauce. You can choose from the Shoyu Soba (Php 390.00), Miso Soba (Php 410.00), and the Shio Soba (Php 390.00). Each bowl comes with a slice of their tasty Pork Char Siu and you can add an Ajitama egg or extra Char Siu slices at an extra cost. Since Tsuta Ramen was launching their Sang La Tan Tan Soba that day, I decided to start off with its most classic bowl: The Shoyu Soba. I had mine with an Ajitama egg, alongside the basic toppings of bamboo shoots and a paste of pureed leek and green olives in truffle oil. My verdict? It was a good tasty bowl, nice firm noodles with a tangy soup. Maybe I’m just not a big fan of too much truffle in my food as I found it overpowering the fatty, savory taste of the pork and the tare. Although I must say unlike the other heavy and flavor-rich tonkotsu-based versions more popular around Manila, Tsuta’s Shoyu Soba was light yet flavorful. Although staff were quick to serve, feel free to order Tsuta’s famed sides too while waiting. My sister and I indulged on their Ro-su Char Siu (Php 100.00) and Ro-su Meshi (Php 170.00). First one was a roasted pork char siu with butter sauce while the latter was sliced roasted pork shoulder on rice. 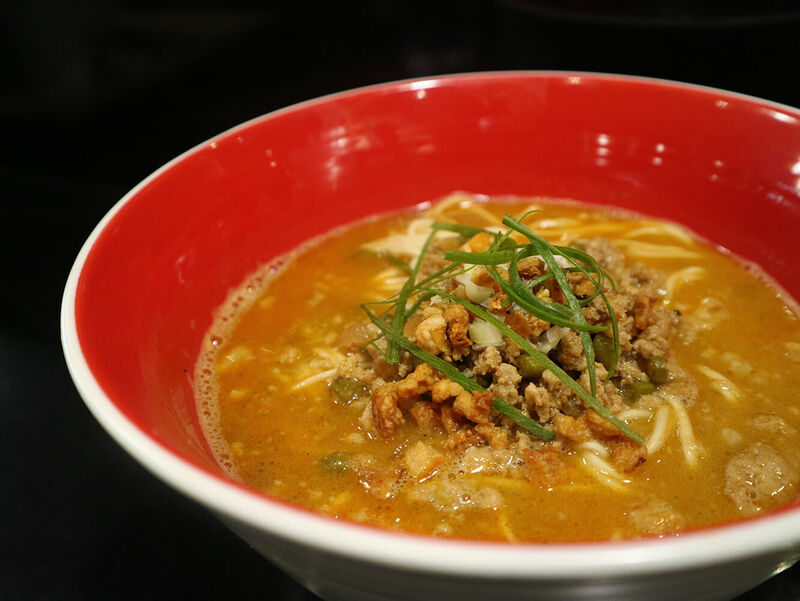 Inspired by the popular Filipino Dish Kare-Kare, Chef Yuki proudly presented his newest Ramen creation that day: Tsuta’s Sang La Tan Tan Soba. Building up from Tsuta’s signature dashi, the new variant boasts of a creamier taste and a thicker texture. Thanks to the delicious mix of peanut paste, topped with seasoned minced pork and cane vinegar. Be warned though as a bowl is not for the faint of heart as it’s also dashed with chili oil and chili. Also, be quick to snap those food shots as the flavor further intensifies as the soup becomes thicker as time passes (which I found really really good and interesting). Simply put, it was like a heavenly marriage of my favorite nutty goodness of Kare-Kare with the creamy, savory taste of Ramen. Highly recommended! It was so good, foodie friend JC and Inky were able to down a second bowl each! 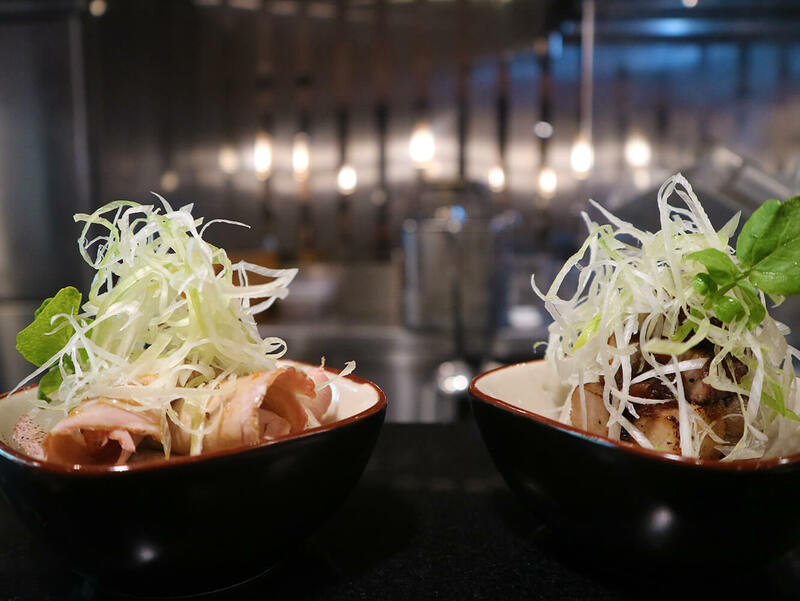 So did Tsuta Ramen BGC live up to its Michelin-Starred name? Definitely yes – with the high quality ingredients they use, the impressive cooking technique, and the ingenuity of their Soba recipes. 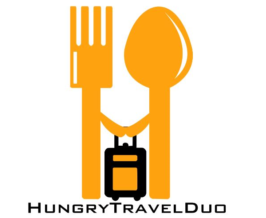 Maybe not totally rivaling up to Ramen Nagi or Ippudo (although I believe they have completely different flavors and markets) but a definite must try for any ramen loving foodie out there. Been here? Comment down your favorites.